When I shared on Instagram a few days ago, that Ron and I sat down (with a platter of nachos ;)) to touch base and make a 2019 plan together for our family, I received so many questions and people asking me to share more. So I thought it would be fun if I explained how we do this while also giving you some tips and pointers on how to get started if you don’t already do something similar with your partner/spouse. We’ve been doing this every few months on a smaller scale for a while now and its honestly been a game changer for our relationship but also for actually evaluating progress and getting things done. It’s easy to make lists and write down big goals, resolutions, whatever you want to call them. Anyone can do that. 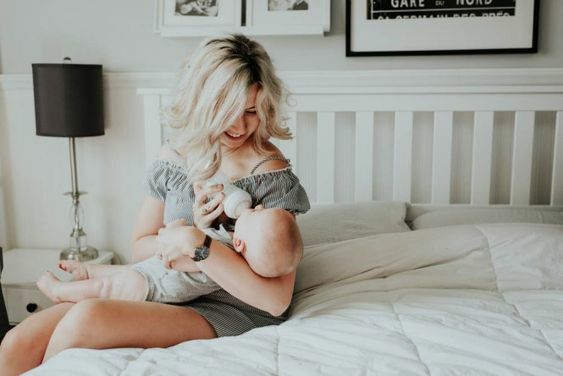 But to actually follow through and cross things off, we’ve discovered from experience that in a marriage relationship, (and even more so when you have a young family) you’re MUCH more successful when you goal write and chase those goals together. You have to get on the same page, come along side each other and cheer each other on. You have to really make effort to understand and appreciate each others personal goals and dreams and adapt them as your own. Then figure out a game plan together. 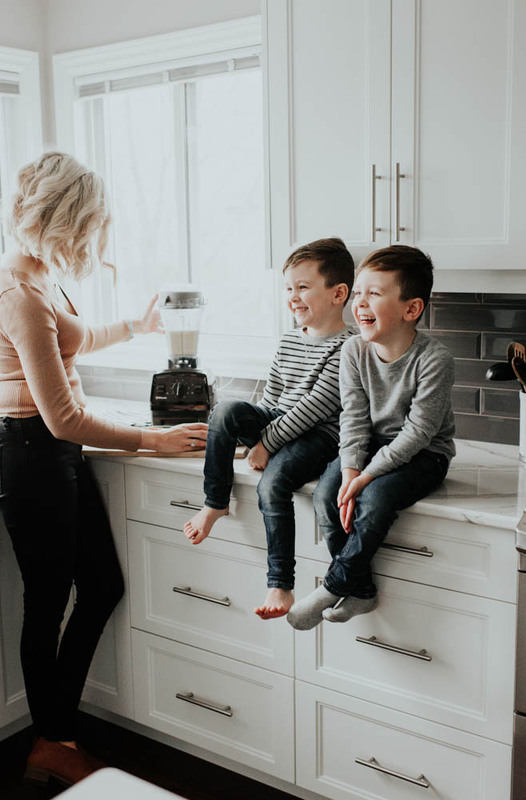 Establishing family values and writing a mission statement – If you’re new to this whole idea, I feel you really need to start with establishing family values and writing a family mission statement together. 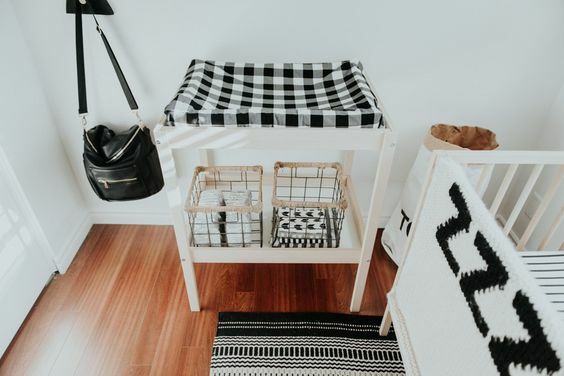 It’s so important to decide together what is important to both of you, the type of atmosphere you want to create in your home and what you want to focus on as a family, long term but also a more narrow focus this coming year. So from the list of values here, we each circled the 6 things that we valued most. We then took some time to share with each other why we value the things we chose. (For us, there was some overlap and likely would be for you as well!). We then narrowed it down to 8 words together and used those words to create a mission statement. In our family, we will show respect to all, be thankful daily, and make effort to always think positively. We will give of ourselves and prioritize our health while seeking adventure. We will show kindness and support each other always. And then when sharing goals and deciding what we were going to work on and chase after as a couple and family, we referred back to our list of values and mission statement to make sure it all aligned. Make sense? 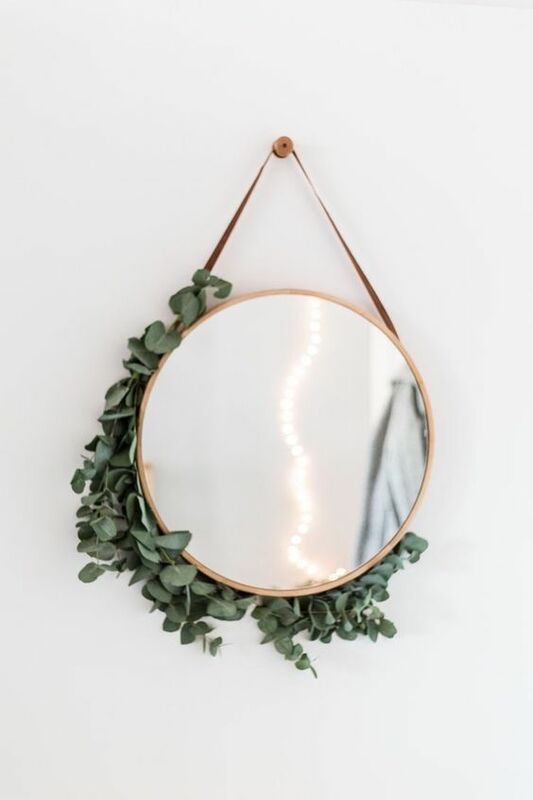 I’ve created a PDF template you can get here to help guide you through the process and below I’m sharing tips on how to have a successful goal writing date! Make it Fun – when we first started to do these, Ron was a little sceptical. I mean, most guys probably don’t want to sit down for 3 hours and talk about life goals and make lists together. I get it. Not their idea of a fun date night? But (and I checked with him to make sure) if you pulled Ron aside today and asked him what he thought, he would say how much he enjoyed this time we set aside to plan together. You have to make. it. fun! If you can get a sitter, go out to your favourite restaurant, notebooks and planners in tow and order apps and drinks. Go to a fun coffee shop. Or we like to have date nights in and make sushi or a giant plate of nachos. And once you begin to see how good it feels to be on the same page and work together on goals, it will become something you will both look forward to. I promise!!! 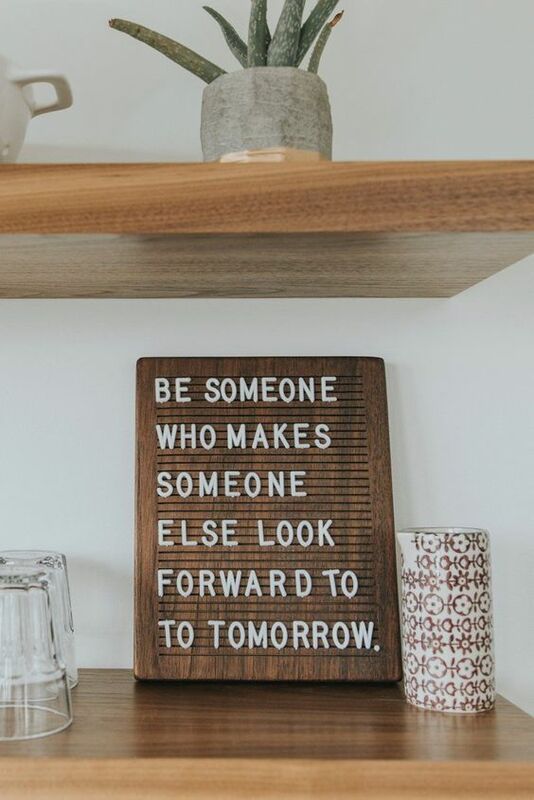 Narrow the focus for 2019 – I’ve heard a lot of people doing a “word” of the year for their family and I always thought this was a cool idea. But we didn’t actually come up with one intentionally until this year. I love this because once you have agreed on values and a mission statement as a long term plan of things to work towards as a family, a single word will help you to focus on something specific for the coming year. Some examples might be: Content, Grow, Rest, Encourage, Gratitude, Minimize, Learn,… you get the picture. Spend some time prior to make a list of your own personal goals, priorities and dreams – This is the whole point. See, our personal needs, wants, goals and dreams change and evolve as time goes on. So something I may have been passionate about 8 months ago, might not be a top priority for me anymore and thats ok but if we’re not consistently checking in with each other, Ron might never know that and I might not think to share that with him. It’s so easy, especially in the busy season of raising kids, to become unaware of where the other person is at without realizing it. 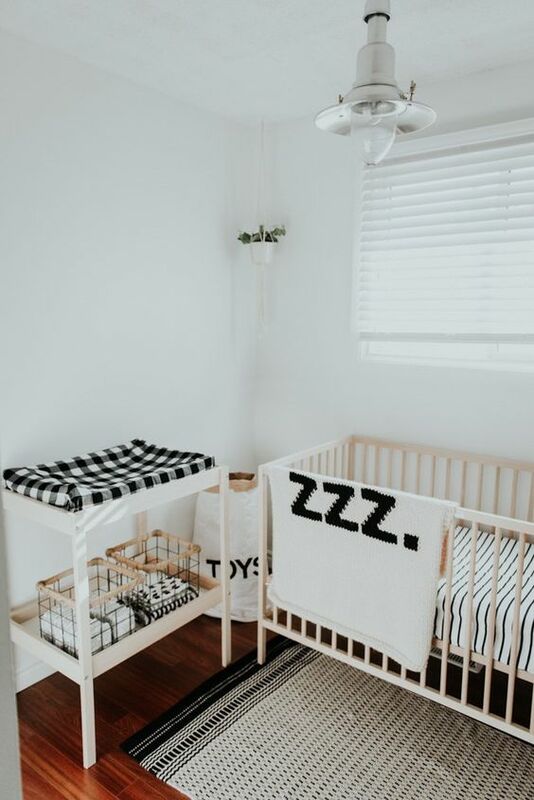 So a list of what you are hoping to achieve this year – personally, as a family and as a couple is what you will bring to the table. 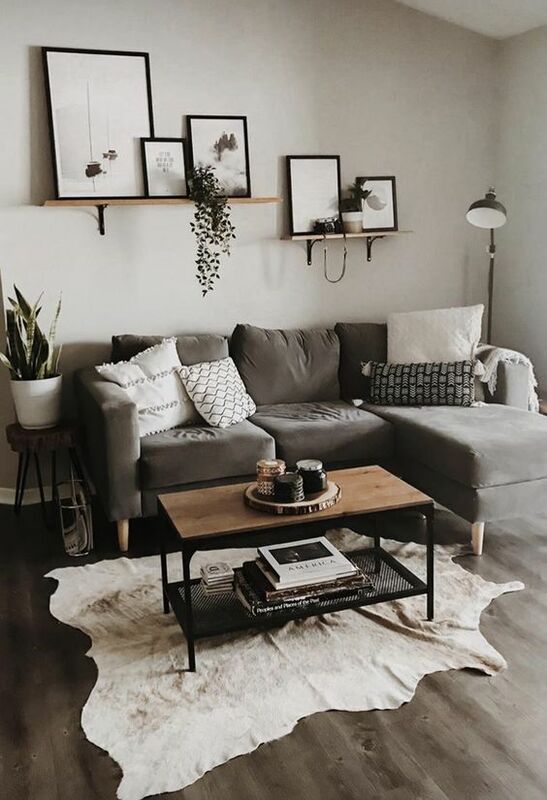 Categories that may help organize your goals would be financial, health and fitness, business, spiritual, family, marriage, parenting and personal. And then you will share and chat together about how you can make those things happen! Be open to adjusting/compromising – It’s so important to have an open mind regarding the possibility of adjusting a goal or priority prior to your chat. Before our most recent chat, there was an opportunity I was seriously looking at pursuing. I was excited about it and ready to jump in but I knew that it was important that I discuss it in depth with Ron, that we pray together about it and weigh out the pro’s and con’s for our family. Although a large part of me was hoping we would come to the conclusion that I should go ahead with it, I also had to be prepared to decline or at least put it on hold for the time being if that’s what we concluded. And for that particular opportunity, based on our family values and mission statement, we did decide together that it wasn’t the right time for me to go ahead and pursue it. Ron’s opinion is very important to me and if something doesn’t sit well with him, then it doesn’t sit well with me. It’s ok to circle back to something later – If something you’re talking about is causing a point of contention, something you just can’t agree to work together on, move on and go back to it later. We don’t always see eye to eye on everything and that’s ok. Maybe you each just need more time to think/pray on it separately. Take a break from that topic and revisit it at a later date. Creating action steps together and putting it on the calendar – This is key to supporting each other and making things happen. One example for us, is that Ron has been wanting to start a podcast since last spring. He has slowly been working on content, jotting down ideas here and there but his goal was to launch in September and it’s now January. So why didn’t he start? Because we didn’t have a plan in place together. He works long days, I’m home with the kid’s all day. He comes in the door and jumps right into helping me with whatever I need while we do supper, baths, bedtime and then we’re both just exhausted after the kids are finally in bed. He hadn’t set aside any purposeful time to work on the podcast so it just wasn’t happening. In our chat this week though, we discovered that he is still very passionate about making it happen and so we now have it on the calendar that a certain evening each week, I will do bedtime and after supper, he will head downstairs to plan/record his podcast. With that specific time dedicated to it now, we’re going to make this happen. Together. Team work. Get it?! And we did this with each goal that we worked through. Purchasing a larger vehicle was a priority on both of our goal lists, so we discussed how we will budget accordingly, decided on the amount of $$ we’ll put aside each month etc., to meet that goal by the time we agreed on. Prioritizing our health and fitness is one more goal I’ll share that we both had written down ahead of time so deciding together when I’ll get my runs in, when Ron will hit the gym etc., is something we had to decide together and now we can support each other and cheer each other on to reach those personal goals. 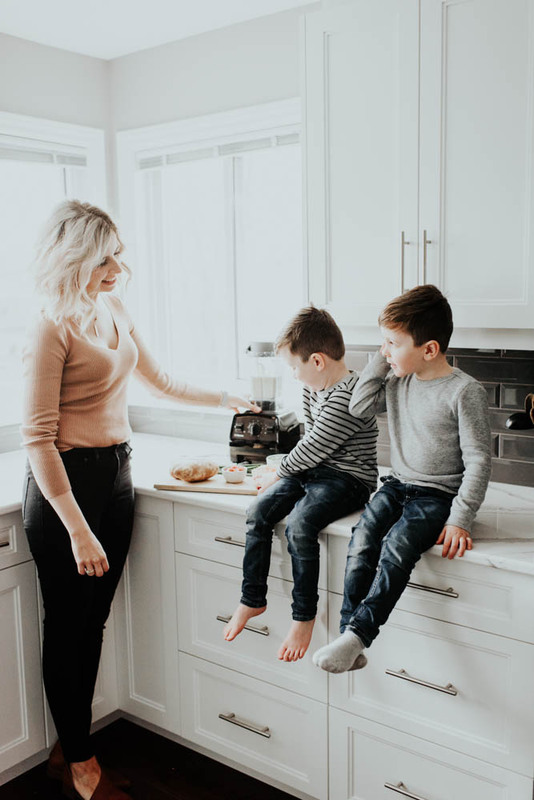 If a goal is to spend more 1:1 time with each other or each of your kids, plan how you will do that – put date nights in the calendar, book the sitters ahead of time. A goal without action steps won’t happen so this part is crucial for setting your family up for success. So you see how getting on the same page and coming up with a plan together can be so effective?!? I’m hoping we can get as many couples on board with this for the month of January so please share this post and when you sit down to make a plan on how you’re going to goal chase together, story a photo and tag us so we can cheer you on! Thanks so much for reading you guys! Have fun! 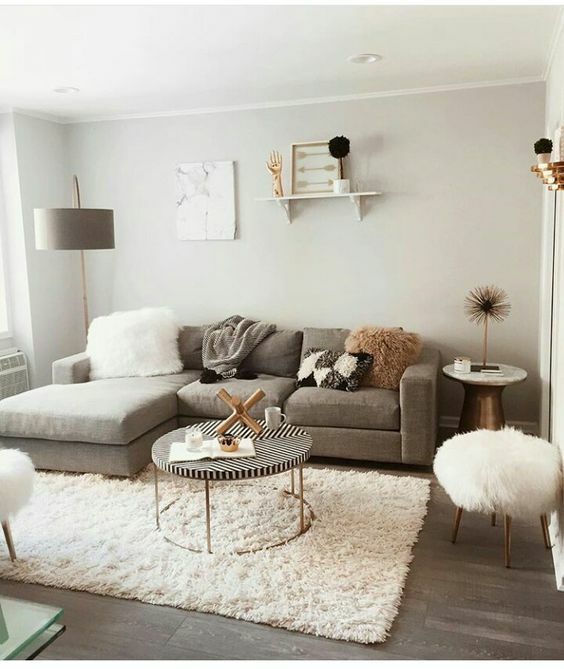 One of my biggest goals this holiday season is to have our home open and ready to host impromptu guests at any point. 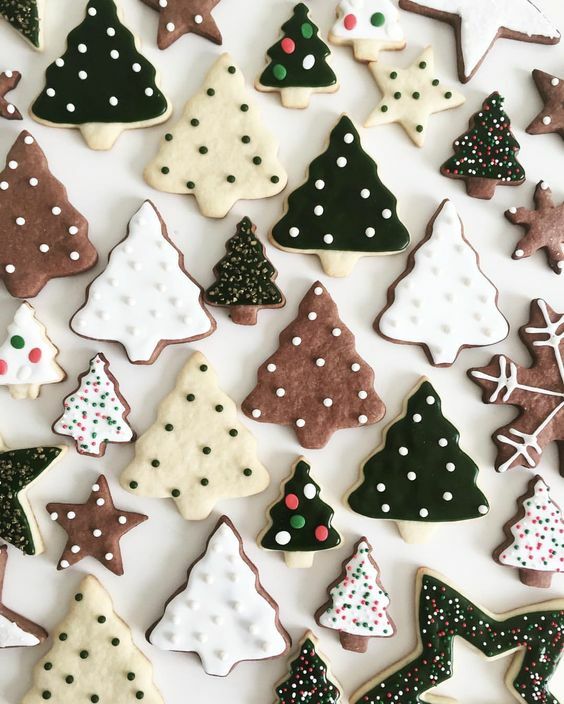 We love to host friends and family, spending time connecting with loved ones is so important to us this time of year. Being the type A person I am, I normally like to have any type of gathering organized well in advance. This past year, however, we’ve really worked on keeping our calendar open to allow for spontaneous plans and always saying yes to impromptu hangs with friends and family. So it’s my goal not to stress that the house isn’t spotless or that I have to make something elaborate but instead to have ingredients on hand to throw in a last minute pot of soup with a side of (Pillsbury) rolls, and pull out some Christmas baking from the freezer. 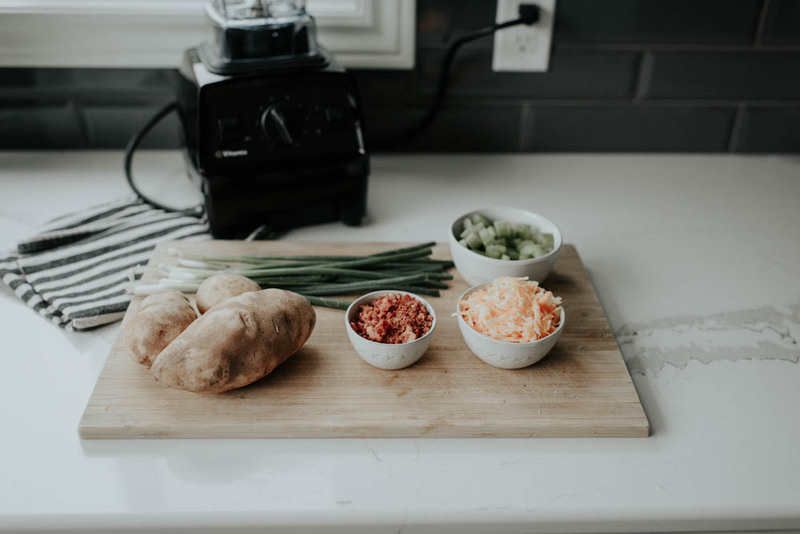 This way, instead of fussing in the kitchen, I am spending more time connecting with the people around me while still serving delicious food that everyone will love. 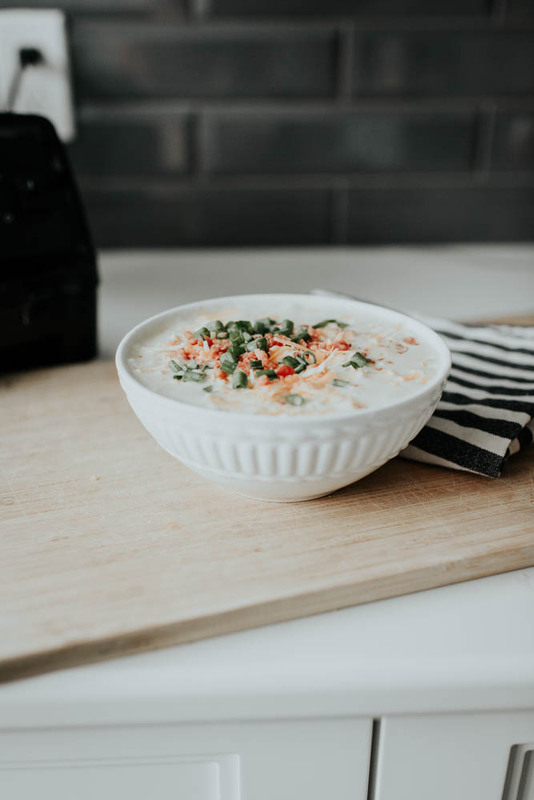 One of our favourite soup recipes that I generally have most of the ingredients for, is this loaded baked potato soup. It’s basically like eating a loaded baked potato in liquid form (ummm yes please!!) and it’s just one of those cozy comfort meals I know I’ll make multiple times this season. 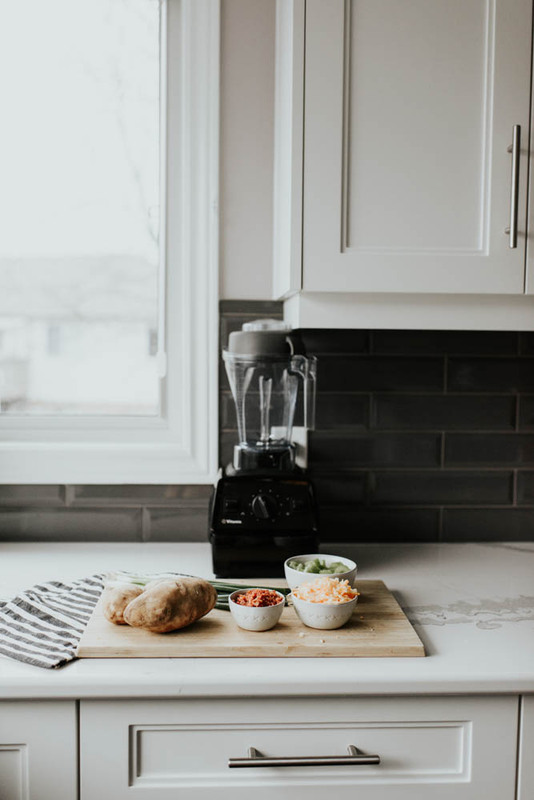 And I’m so excited to share how I use our Vitamix E310 Explorian Series Blender to whip it up in no time! We haven’t stopped using our Vitamix since we got it. 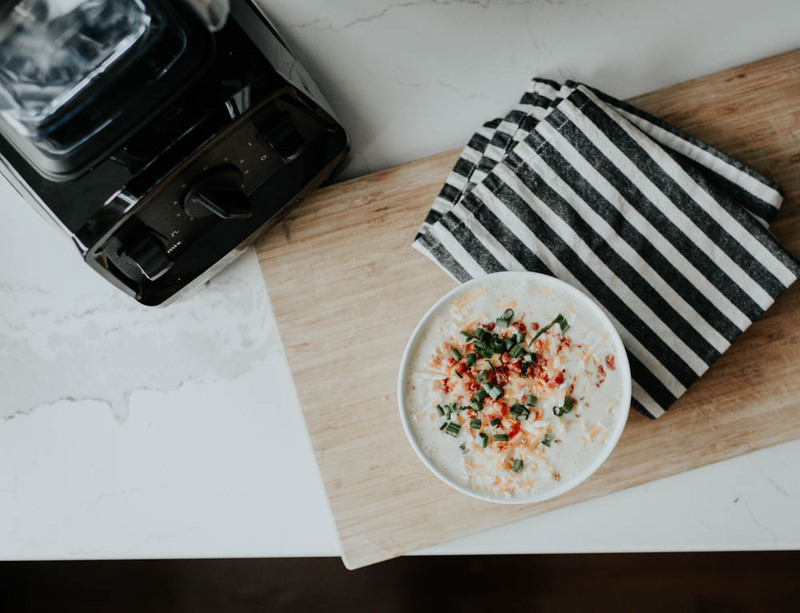 Morning smoothies, Lara Bars, hummus and soups are just a few of our most commonly made recipes using our Vitamix, but it’s greatest contribution will be during the holidays to whip up fast and delicious recipes to be shared with family and friends! In a large pot on stove, melt the butter and cook the onions and garlic until softened. Add in the potatoes and chicken stock. Cover and simmer until potatoes are soft, about 30 minutes. Using your Explorian Series Blender, pour in the milk and cream and than add in the mixture from the pot. Puree the soup at speed level 6 for approximately 20 seconds or until it gets to the consistency of your liking. Sometimes we like to leave a few big pieces to give the soup a bit of texture in which case we’d blend for less time on a lower speed. If it is still too thick, keep adding a little more milk or cream until it’s reached desired thickness. Add salt and pepper to taste. Heat the mixture on the stove again and serve with toppings of your choice! 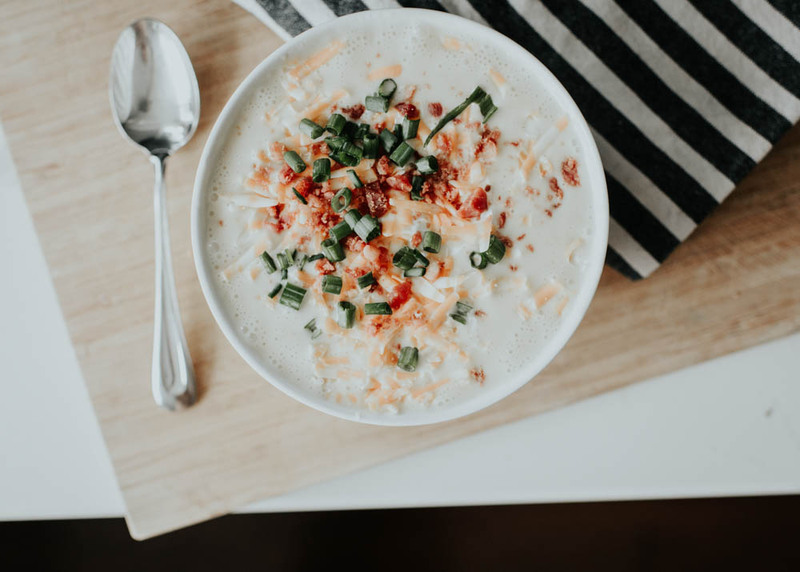 We like to top it with sour cream, bacon bits, grated cheese, and green onion! 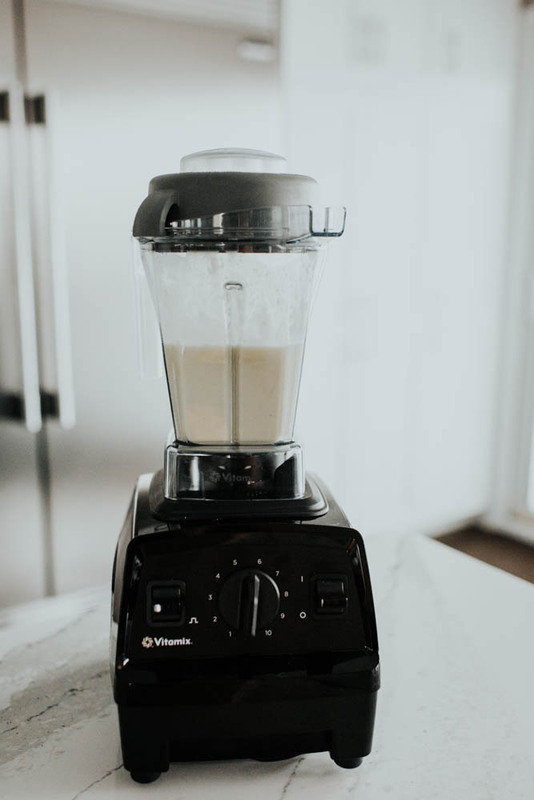 The Vitamix E310 Explorian Series blender is so simple to use and so versatile too. It’s made cooking more enjoyable and cut back on time as well. Win AND win! 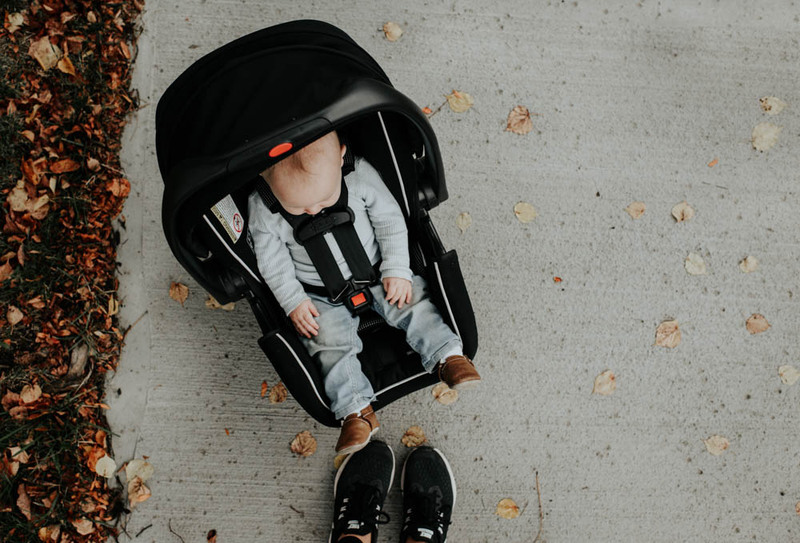 Any mama would be grateful for this gift this holiday season. Would love to hear if you have a favourite Vitamix recipe! Share in the comments below if so! 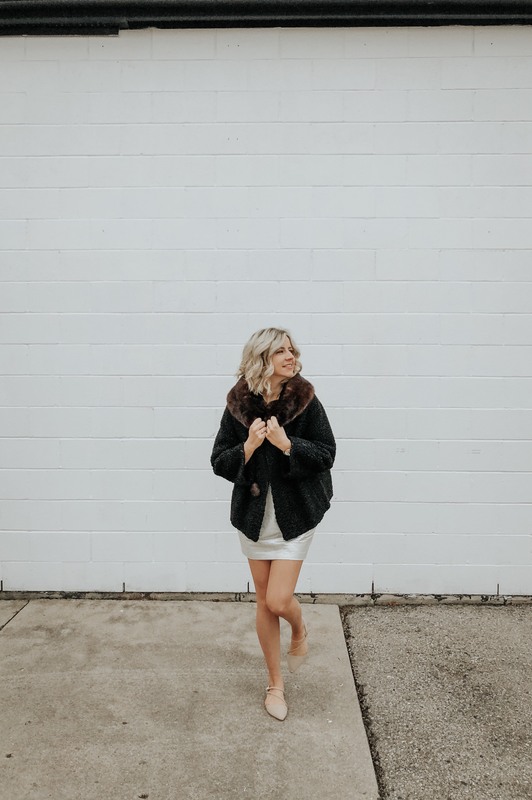 This past weekend was my husband’s work Christmas party and being a busy mama of 3, and with everything else I have on the go this holiday season, finding something cute to wear unfortunately wasn’t at the top of my priority list. I left it until the last minute (typical) and was not feeling brave enough to venture out to the mall this time of year to try things on with all three kiddos in tow, “hoping” I might find something. Then I remembered my friends over at STMNT who rent out clothing, and I e-mailed Jenessa on Wednesday night asking if she had anything that may work for me to wear to this event. From her very first e-mail back to me until returning the items this evening, it was honestly the most incredible and seamless experience. After giving her my size, and some details about the event and dress code, Jenessa was SO amazing and was genuinely excited to help me out! She vividly described why she thought 4 different dresses, along with some other accessories would be perfect options for what I was looking for and she attached images of the dresses as well. 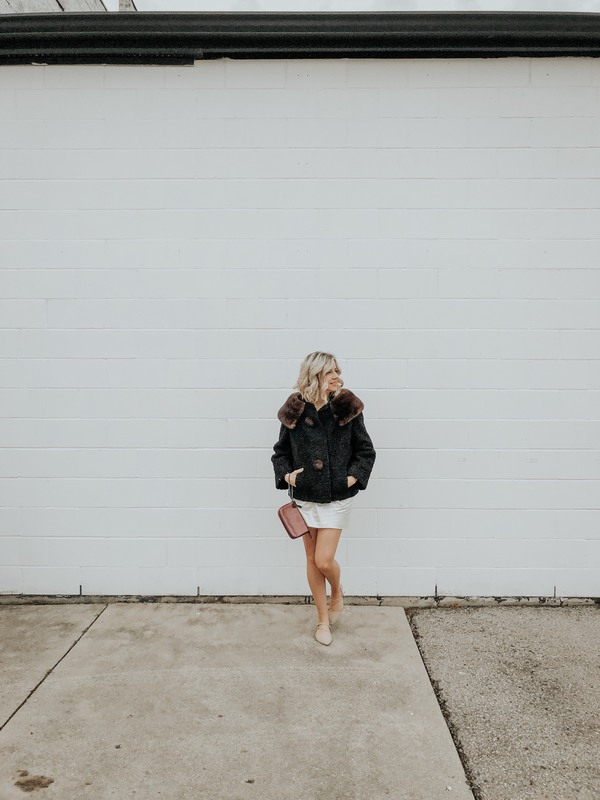 The next day, we met up for me to try them on and 10 minutes later, I had the perfect outfit – club monoco dress, the most beautiful fur coat, and a cute, festive coach clutch, all for 25% of the retail price! If you haven’t heard of STMNT, it was started by two London local babes with a passion for the environment and self expression through clothing. Local fashionista’s can wear their dream dress for their event while saving cash! But here’s the other cool part, you can also rent out your OWN too-nice-to-wear-twice dresses and earn some side hustle cash! 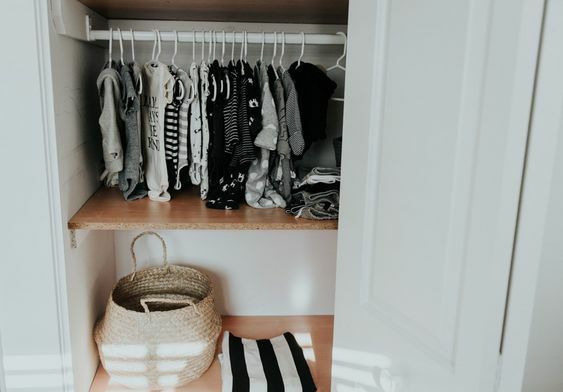 It’s a way to make money off of the items in your wardrobe, save money while still having killer style and is a form of responsible consumption! And if you’re not local to London, fear not!! They plan on expanding to surrounding cities and the GTA area sooooon!!! STMNT is launching their website THIS week so stay tuned! But if you need a cute new outfit to wear over the holidays and don’t want to spend the $$ to purchase a brand new dress you know you’ll only wear once, head over to their IG page and shoot them an e-mail. They’ll hook you up! I will definitely be renting from them again in the future!!! Thanks so much for reading you guys! 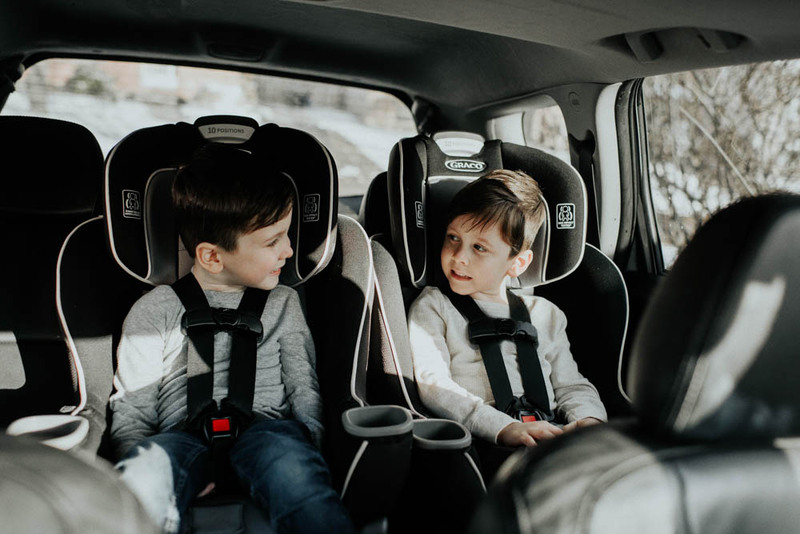 When we found out we were expecting Everest, the challenge of fitting all 3 kids safely into our vehicle, was one of the first thoughts that came to mind. We played with the idea of just taking the plunge and buying a mini van (like all the other cool parents out there) but decided to stick out our SUV for a while more (basically until baby #4) and put the kiddo’s three across for the time being. It worked, but was a pretty tight fit with the seats we currently had. 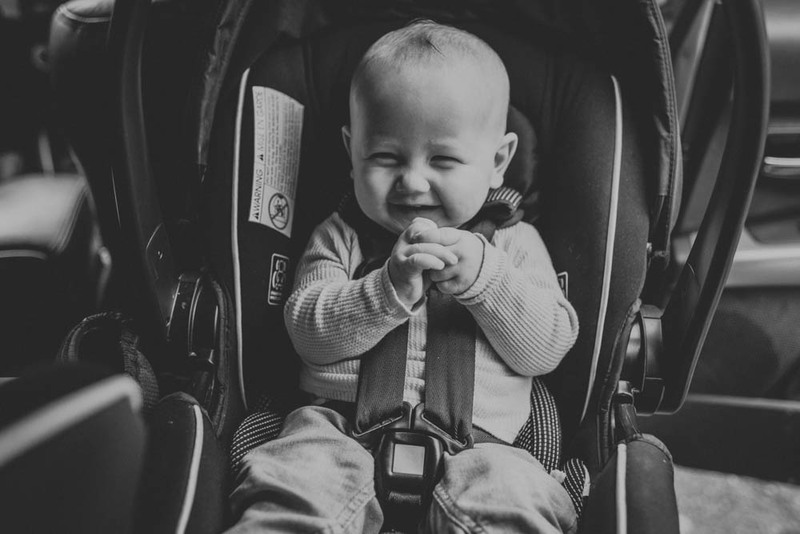 So, I was so excited when we had the opportunity to try out Graco’s Extend2Fit ® Convertible Car Seat for the twins, and to add to the excitement – they fit perfectly with the Graco® SnugRide® SnugLock™ 35 DLX Infant Car Seat we have for Everest. The twins were excited for their new seats too… mostly about the double cup holders though. Their suggestion was that one side be used for their water bottle and the other side to fill up with snacks. Perfect! Besides the double cup holder though, this seat has some incredible features. 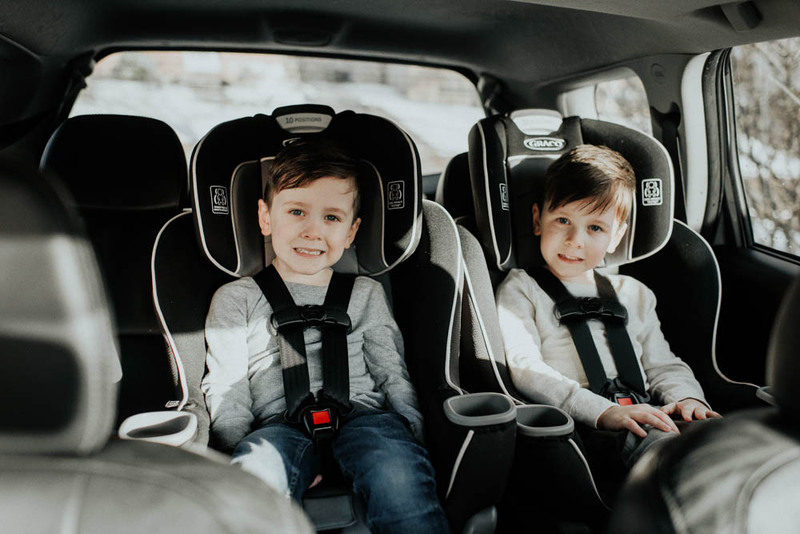 Had we gotten them earlier, the twins could have been rear-facing for a lot longer than they were. 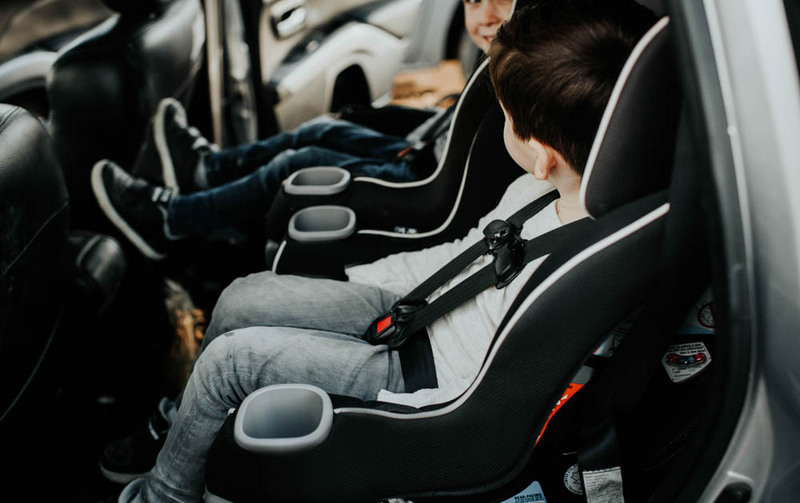 The seat has a 4-position extension panel that allows 5-inches of extended legroom, allowing children to ride rear-facing longer and more comfortably without their little legs being all squished up. My husband was the one who installed them, but he also commented on how easy it was to install compared to other seats we’d used in the past. And the markers on the side are so helpful, because you can see for yourself if you’ve installed it correctly. feeling we’ll go with the same seat for Everest once he outgrows his infant car seat. Around this time last year, we were on our way to Nashville with the twins and Everest was still all cozy up in my belly. Now look at him! He’s 8 months old, is crawling and toddling around the furniture, and if you scroll down a few photos, you’ll see his first little tooth. Where on earth has the time gone?!? We’ve sort of made a little tradition of taking a road trip together each fall. Two years ago, we did Chicago, last year we did Nashville, and this year… is still to be determined. We haven’t decided yet if we’re brave enough to venture out with the three kids while Everest is so small. 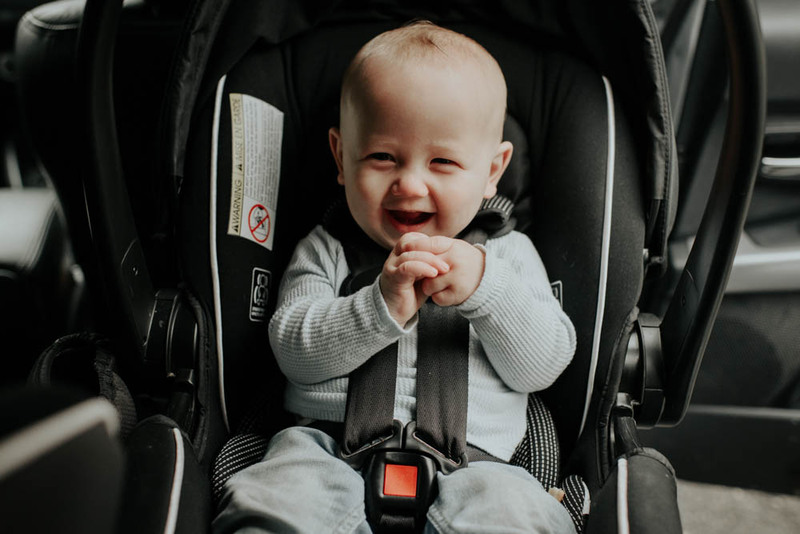 One thing is for certain, whether we decide to be adventurous or not though – we recently got all the kids new car seats – so they’ll definitely be both comfy and safe! Up until Everest was about 6 months, we were using one of the twins old bucket car seats and probably the biggest issue I had with it was how darn heavy that seat was! I dreaded lugging it even from the car to the house because it was that hard to carry. 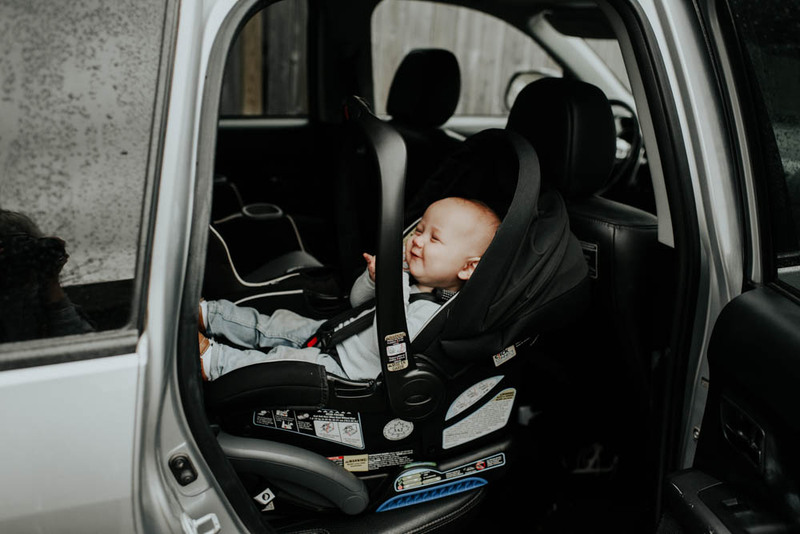 When we got our Graco SnugRide SnugLock 35 DLX infant car seat for him and I used it for the first time, its light weight design was the first featureI loved about it! No more sore arms and aching back. Phew! My second most favourite feature about this car seat is that the button to adjust the handle is located right in the middle of the handle. This may sound silly but in the past with our old car seats, I had to push buttons on both sides of the seat at the same time to adjust the handle which was always so inconvenient and nearly impossible when the seat was in its base in the car, so this feature was a total game changer for me. As for some other awesome features, it features SnugLock™ technology, making it super easy to install in just three easy steps. All you have to do is buckle or attach UAS, remove the slack and then close the SnugLock arm! it makes a loud clicking sound to reassure you that it’s installed properly. 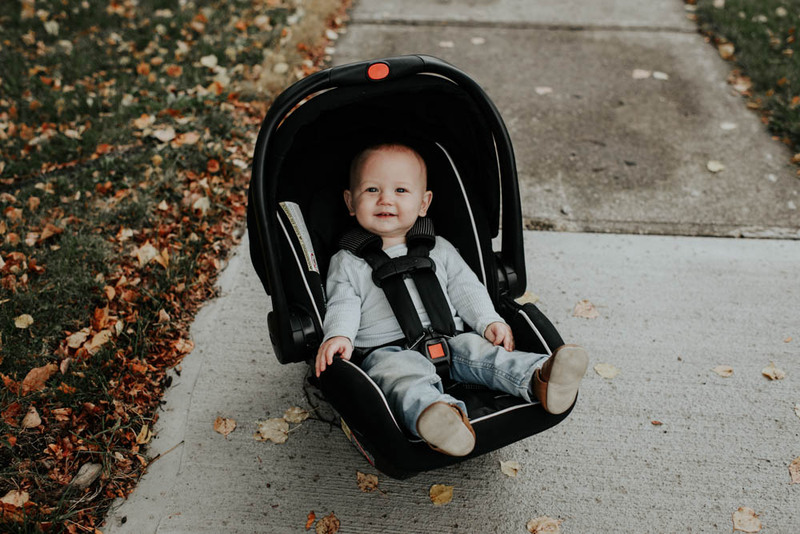 This is a great feature to help grandparents or friends who may be driving my kids around and aren’t as familiar with carseats to know they’ve installed it safely. The seat also came with removable support cushions that add extra support for the head and neck of smaller babies. And of course, because I’m picky like this, it had to be pretty and sleek, which it definitely is! 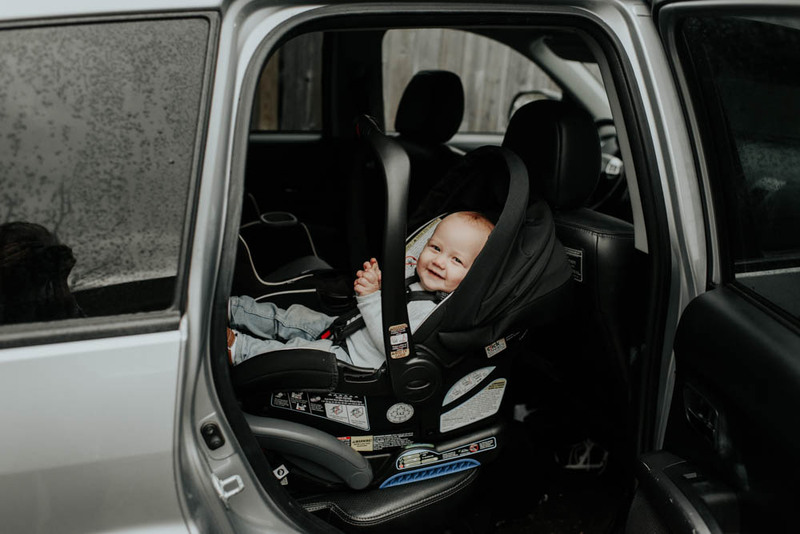 Graco is currently running a promotion until the end of the year where they are offering an extra car seat base with the purchase of any SnugRide SnugLockinfant car seat. 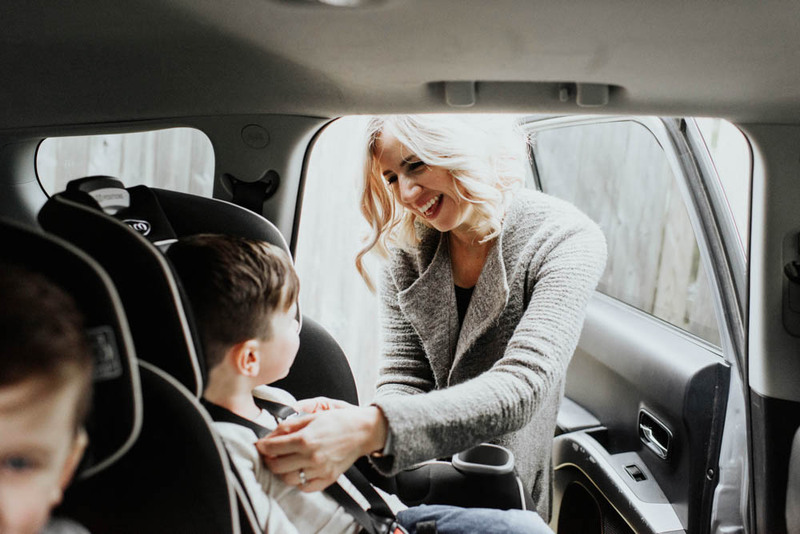 So if you or someone you know is in the market for a new car seat, go here for details on this promo! Thanks so much for reading!